The LaHDAK team brings together members of the former Artificial Intelligence & Inference Systems group (IASI) and members of the Databases group (DB) because of their common interests in data and knowledge management. 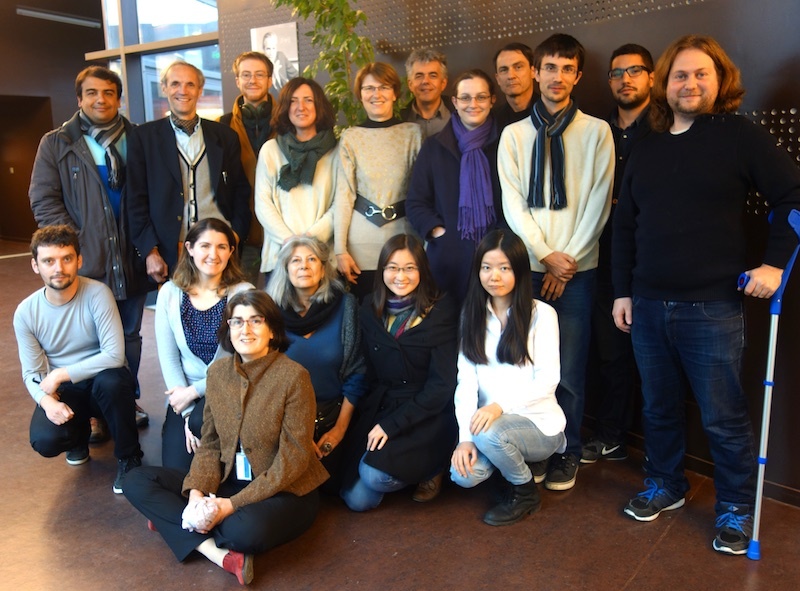 These researchers have had a previous experience of collaboration within the Inria project Gemo which included all members of the IASI group and after that (from January 2010 to March 2012) within the team Leo which included the IASI group and members of the DB group. The members of the Database group are specialists in the area of data management with a particular focus on formal models for complex data (semistructured, annotated, graph data), Web data management optimization (query processing and optimization for XML and RDF), management of distribution (P2P and Cloud platforms), and complex data transformations. The members of the Artificial Intelligence and Inference Systems team are specialists in the area of information integration. They address problems raised by modern information and knowledge management systems that deal with numerous, highly heterogeneous, and distributed information such as Ontology-based Data and Document Management (query answering and semantic annotation), Data and Knowledge Integration (integration of data and schemas or ontologies), and Reasoning over distributed systems (P2P inference systems, diagnosis systems). Bringing these complementary expertizes together is particularly important in order to meet the big data and knowledge challenges (“Making sense of Data”) requiring to combine techniques coming from both databases and artificial intelligence areas. The LaHDAK group is strongly commited in the Labex Digicosme project. It actively participated to the proposal and the group is involved in two tasks of the action line: Data intelligence}: (1) Scalable, expressive and secure tools for large-scale data, and (2) Making sense of complex, heterogeneous data. Another strength of the LaHDAK group is that it gathers theory and fundamental researches as well as innovative systems developments and experimentations connected with real applications. Because of dissemination of its former members and the mobility of its actual members, the group has developed many collaborations at a national and international levels.